Should we have any sympathy for Paul Pester as he contemplates clearing his office at TSB HQ? Yes, and no. Yes because the ongoing IT fiasco was almost certainly not his fault. No because the buck must eventually stop at the top. Yes because he was dealt a bit of a duff hand from his ultimate employers Sabadell Group, who appear to be largely responsible for the catastrophic migration of TSB customers’ accounts and records to their tech platform in April. No because he’ll walk away with a £1.7million pay-off. Yes because it’s a lot to ask a chief executive to be fully conversant with the nuts and bolts of his bank’s systems. 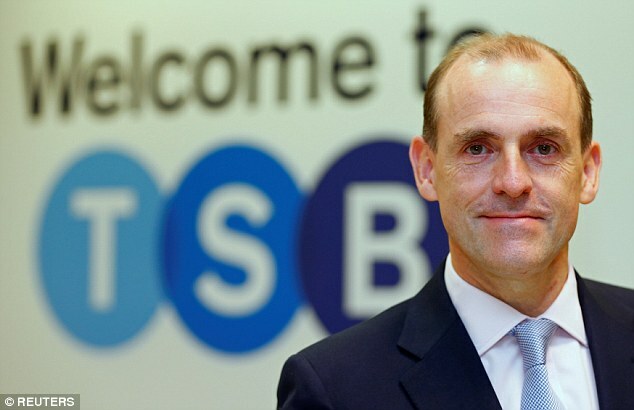 Paul Pester has resigned as chief executive of TSB after some serious tech hiccups. No because Mr Pester had previously held very senior management positions at Virgin Money, Santander and Lloyds TSB for nearly two decades in which the digital age transformed banking. You’d think he might have picked something up along the way. TSB do at least have a ‘chief information officer’ on their board, whose duties appear to be roughly the same as a chief technology officer. 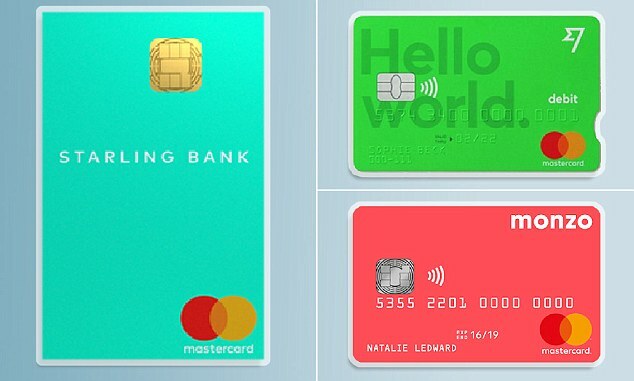 They also have a chief operations officer who joined the bank ‘to lead its build and development as a new multi-channel, challenger bank on the UK high street’. Although this duty is listed after the fact that she is ‘executive sponsor for gender diversity with a particular focus on building a sustainable female talent pipeline’. You will not find a technology or systems director on any of the major banks’ boards. Not surprising perhaps, because the board is a tight team: usually just a chairman, chief executive, finance director, maybe a chief risk officer, and then a bunch of independent non-executive directors. So no tech guru in the Cabinet then – what about among the junior ministers? Go to the senior management teams, which typically number anything from eight to 15 bigwigs, and you will find a chief operations officer – only part of whose responsibilities are the systems and applications that the functioning of the retail bank actually relies upon. But that’s it. This is the case at HSBC, RBS (which owns Natwest), Lloyds Banking Group (which owns Halifax) and Barclays – the four biggest retail banks in the UK, the old High Street names. The one other really big name is Santander. This bank was built by its Spanish owner from the initial purchase of Abbey National more than 15 years ago, and then bulked out subsequently with Alliance & Leicester and Bradford & Bingley. Not exactly a challenger bank then but a relatively new and fresh presence on the High Street, with a whiff of innovative spirit behind it – and by far the most popular bank among customers of the Big Five High Street presences (Big Seven if you break out Halifax and Natwest). The jury is still out on the growing number of start-up digital banks , but the old lenders will have to change very quickly if they don’t want to lose their current younger customers. And proof surely that it is possible to create a new, fully functioning bank fit for the digital age from legacy institutions. After some early teething problems in 2007, it has not suffered anything like the number or extent of glitches and outages that the others have. Oh and look – they have a Technology & Operations Officer on the management board, as well as a Strategy & Projects Director. You can’t help feeling there was a realisation early on at Santander that to make their UK operation work they would have to do some pretty smart technological coordination and integration. It seems Sabadell didn’t employ the same foresight – or if it did, it wasn’t acted on very well. The majority of current bank customers who are less than 40 years old and just about every single new customer who enters the market henceforth will demand a good digital banking experience – and leave if they don’t get one. The jury is still out on the growing number of start-up digital banks, but the old lenders will have to change very quickly if they don’t want to lose their customer base. The new fintechs almost by definition were founded – and are led – by entrepreneurial people who understood the technology behind them. Meanwhile, the pace of innovation at the old High Street banks has been glacially slow, in their product offering, in their systems and in their governance. If they want to still have customers in 30 years’ time, they will have to introduce bosses for technology and systems to the highest levels of management.